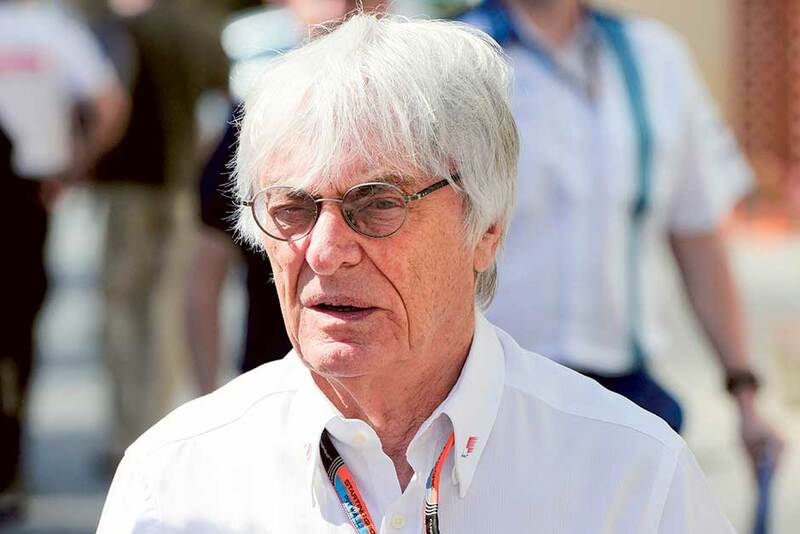 Los Angeles: Bernie Ecclestone’s long reign as Formula One’s ringmaster came to an end Monday as Liberty Media completed its multi-billion-dollar takeover of motorsport’s most prestigious brand. Colorado-based Liberty confirmed in a statement that American Chase Carey had been appointed chairman and chief executive of F1, with Ecclestone moving into an advisory role as “chairman emeritus”. Ecclestone, 86, had already signalled the end of his near 40-year reign as head of Formula One in comments to German magazine Auto Motor und Sport earlier Monday. “I was dismissed today,” Ecclestone told the magazine. “I no longer run the company. My position has been taken by Chase Carey,” he said. Ecclestone, a former car salesman who transformed F1 into a multi-billion dollar business, was initially reported to be staying on after news of the Liberty deal emerged last year. However in a statement confirming completion of the takeover, valued at around $8 billion (Dh29.4 billion), Liberty president Greg Maffei confirmed Ecclestone would be leaving his role as chief executive. “We are delighted to have completed the acquisition of F1 and that Chase will lead this business as CEO,” Maffei said. “There is an enormous opportunity to grow the sport, and we have every confidence that Chase, with his abilities and experience, is the right person to achieve this,” Maffei added, paying tribute to the “tremendous success” of Ecclestone in helping to grow Formula One. “I have enjoyed hearing from the fans, teams, FIA, promoters and sponsors on their ideas and hopes for the sport,” Carey said. Carey also praised Ecclestone’s role in developing Formula One, adding that he would seek to utilise the octogenarian impresario’s advice in future. McLaren executive director Zak Brown was among the first to lead the tributes to Ecclestone. “Indeed, I can’t think of a single other person who has had anything like as much influence on building a global sport as he has,” he said. The takeover gives Liberty, which is backed by US media titan John Malone, control of a global and highly profitable sport that rakes in billions from advertisers and broadcasting rights. Formula One-branded merchandise also brings in millions, but some F1 teams are plagued by financial problems and the sport has limited activity in the social and digital media platforms crucial to courting the next generation of fans. Carey has a proven record in expansive sport-media growth, and expertise in the value and exploitation of sports rights, notably in the US market. The 20-race 2017 Formula One season gets underway in Australia on March 26 and ends in Abu Dhabi on November 26.